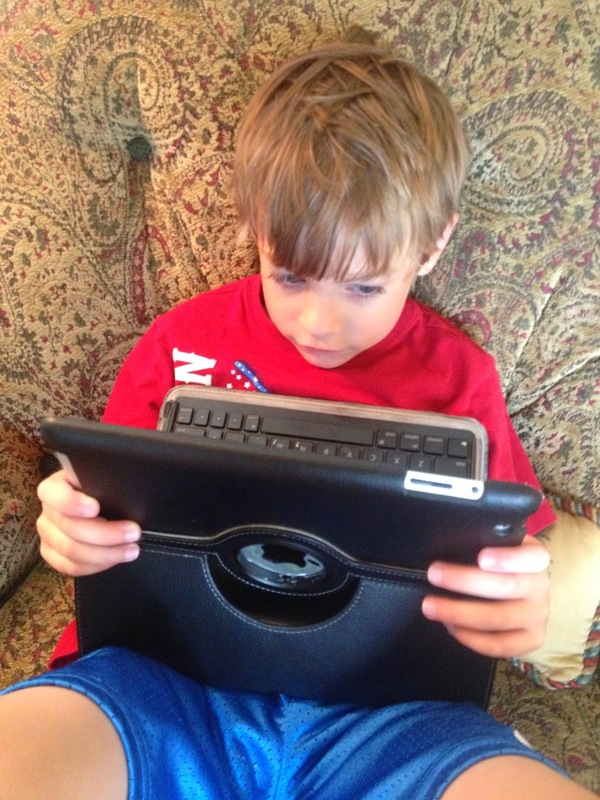 We had the chance to review two apps from Reading Eggs – Eggy Vocabulary and Eggy Add to 20! 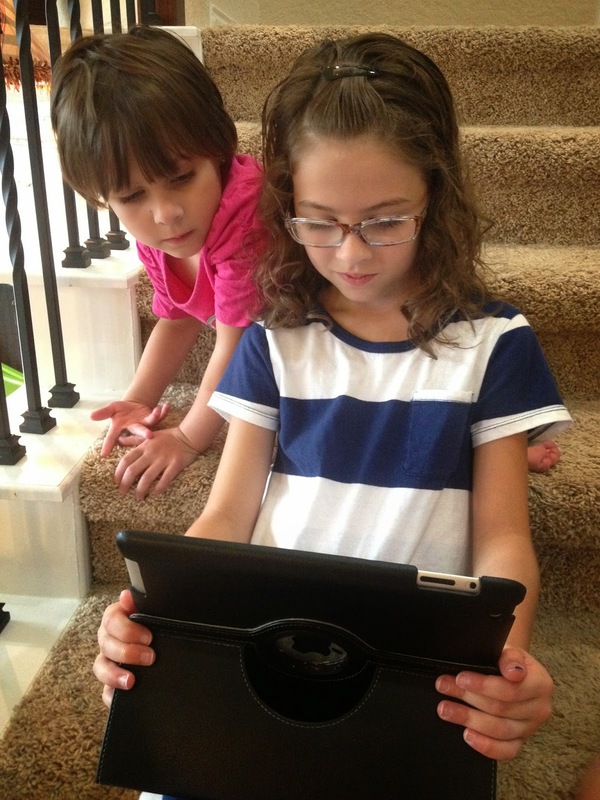 The creators of Reading Eggs also offer many apps for language arts and for math. 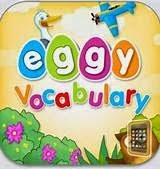 Eggy Vocabulary app is geared for ages 3 and older. It is a hidden picture style game where the child has to find the correct picture for items in a list. The words are objects around the house or other common words that a young child would encounter, such as animal names. These words are listed on the screen and will be read to the child. Then the child clicks on the picture to locate each item. Through correctly finding all the items in the lists, the child earns eggs that hatch little critters. In the app, the child can choose which day of the week she wants as each day has a different activity. Before the child can go to that particular activity (such as the beach), she must first find objects in locations such as the kitchen, the bedroom, the playroom, or the backyard. Once those rooms have been completed successfully, the child can progress to the final destination. After completing the activities for each day, the child earns the critters and also reaches the story portion of the app. For each destination, there is a short story read to the child about that destination. Balloons – You must tap on the balloon that contains the answer to the addition problem at the top of the screen. Teddy – Help a teddy bear climb to the top of a rope by choosing two numbers in corresponding colored balls that add up to the target number. With each correct answer, the teddy climbs a little higher on the rope. Snow Boarder – You steer your snow boarder around obstacles to collect flags with addition problems that match the target answer. Sheep Dog – Help Polly the Dog leap across sheep to get to her bone and bring it back to her house. The goal is to land on sheep that match the addition problem at the top of the screen. Memory – This is a classic game of memory. Flip over the cards to match the addition problems to the correct answers. Fishing – Drop your fishing line to catch two fish that add up to the target number at the top of the screen. Each game focuses on addition of numbers up to 20. This program contains two or three levels of difficulty, depending on which game you choose. As you complete games accurately your earn “mashies” which are little critters to add to your collection. Eggy Vocabulary was perfect for my 3-year-old. Once I showed her that she could click on each word in the list to hear it read to her, she was able to use the app by herself. With this app you can create multiple accounts so I made an account for both Ladybug and Bee (age 5). However, I found that the app was not challenging enough for Bee so the app was mostly used for Ladybug. In the settings section you can choose the accent – American English, British English, or Australian. When we first used the app it was set to the Australian accent which was fun to listen to, but was difficult for Ladybug to understand. It was much easier for her when we switched to the American accent. I helped Ladybug choose her destination and she worked through the various screens until she earned her new critter. Eggy Add to 20 was best for my older crew – Tiger (age 6) and Curly (age 8). Tiger is working on addition facts and Curly could always use some review of math facts. I let Tiger begin using the app on his own. He quickly discovered the balloon game (what boy doesn’t love to pop balloons?) and the snow boarder game (which became his favorite!). He loved playing the games and practicing his math facts. To let Curly play I had to reset the games and put her name as the user. This deletes all the mashies that Tiger had earned. I had Curly work at level 2 or 3 as she played the games. She enjoyed the slower paced games of Teddy, Fishing, and Memory. Just like in Eggy Vocabulary, you can choose the accent in the settings section. Ladybug (age 3) really enjoyed Eggy Vocabulary. She was able to navigate through the various scenes to find the pictures. By clicking on the words she could have them read to her as many times as she needed. This allowed her to play with the app without my help which she really enjoyed. Some of the vocabulary words were confusing to my kids, such as football (soccer ball), picnic rug, (picnic blanket), carousel (merry-go-round), and bubbler (water fountain). These might be common words in Australia or in England but they are not used in the US (at least in my region). So, it was difficult for Ladybug to figure some of these words out and she often needed my help. One thing I noticed as Ladybug continued to play was that she found a way to find objects without hearing the words read to her. She simply clicked on every single object in each picture. As she clicked on correct objects, they would remove from the screen. When she clicked on objects that were not a part of the vocabulary list, nothing happened. So, rather than hear the word and connect that word with a picture, she simply touched each picture until she found all the items. You earn golden eggs when you complete an activity quickly which is a good motivation to carefully look for each item rather than just try to touch every object. This did help discourage Ladybug from this; however, she would often fall back to trying every object rather than listen to the vocabulary words. I did wish there was another way to discourage Ladybug from “cheating” and simply touching each picture on the screen to try to find the objects. While this app is in the style of a hidden picture puzzle, the objects are not very “hidden.” Instead many of them are in plain sight in the picture. This works well for younger app users but I found that it was very easy for even Ladybug to find the objects. My older two kids really enjoyed Eggy Add to 20. They loved the variety of the games and found it fun to earn their little mashies. My one complaint is that this app does not allow for multiple users. So, if my kids wanted to take turns playing they had to stay on one account or they had to delete the other person’s mashies when they changed users. This caused frustration for them so we kept them on one account and let them earn mashies together. The games are all fun and present a different challenge with each. I was impressed with the different types of games that appealed to both of my children. It made the task of practicing addition facts fun and interesting. It didn’t take long for my kids to understand the objective of each game and start playing on their own. While the snow boarder game required quick thinking to choose the correct flag and avoid the obstacles, the other games did not require a child to feel “timed” as they tried to recall math facts. I liked that the games were challenging but did not cause my children to feel pressured to rush and guess at the correct answer for the facts. While we enjoyed Eggy Vocabulary, I was disappointed that the words were very common items like banana or sunglasses. I was hoping for vocabulary beyond just the common household items that my children do know. In addition, some of the vocabulary words were not common to the US so that was difficult. Because the words were very easy and the pictures not really “hidden,” it would be best for a younger child of ages 2-4. Ladybug did enjoy playing with the app and earning her new critters, but she spent much of her time trying to touch every object rather than put the vocabulary word with the correct object. Eggy Add to 20 became a favorite app of my older crew. They really enjoyed the different games and found them all to be fun. 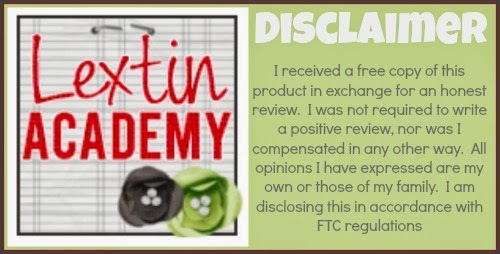 I felt they received excellent practice and reinforcement of their addition facts. This was a perfect beginning math app for children who are learning addition. 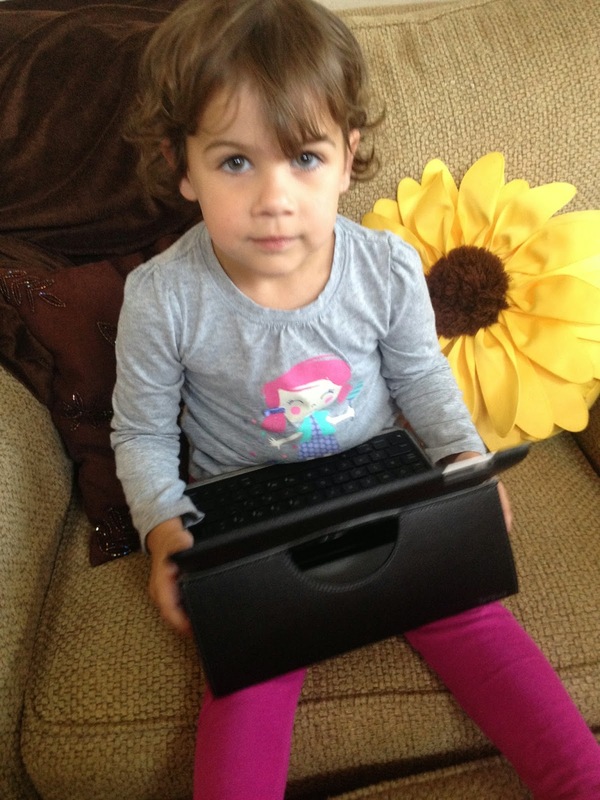 I can’t wait until Bee starts learning addition so she can practice with the app.